Neil Peart Stereo Kits for Reason features samples of the authentic Drum Workshop® Signature "Snakes and Arrows" kit of drum legend Neil Peart from the band Rush. Recorded by producer Nick Raskulinecz (Rush, Foo Fighters, Alice In Chains) this multitrack kit offers the ultimate high fidelity rock sound with incredible realism. This product requires Reason 4 or higher. 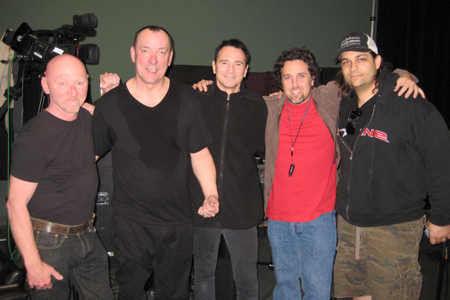 Sonic Reality is proud to announce Neil Peart Stereo Drums for Reason! 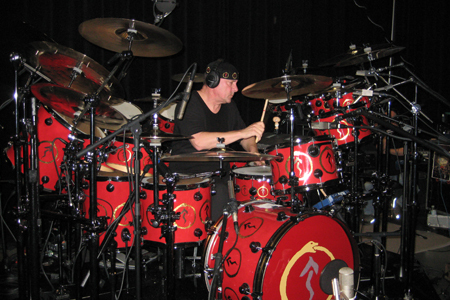 Neil Peart, legendary drummer of the band Rush, has collaborated with Sonic Reality and producer/engineer Nick Raskulinecz (Rush, Foo Fighters, Alice In Chains) to bring the authentic sound of Neil’s “Snakes and Arrows” Custom DW® Drum Kit into the digital domain. With advanced features such as deep level dynamics and humanized random alternating hits, this deluxe sampled kit is an ultra-realistic recreation of Neil’s actual acoustic set as used live on tour and in the studio.Now for the first time, musicians and producers can play rock drum samples with the iconic signature sound of drum legend Neil Peart and have a world-class, hard-hitting drum kit suitable for many styles of music from Progressive Rock to Heavy Metal! Producer Nick Raskulinecz engineered the sample sessions with over 20 channels of Neve® mic preamps, deluxe vintage tube mics and multiple room positions for one of the most elaborate sampled drum kits ever. 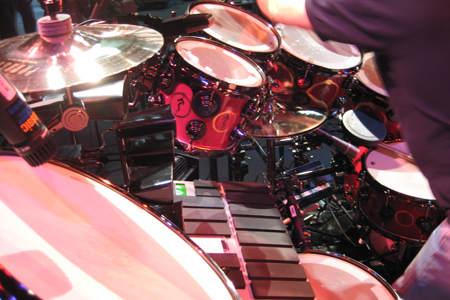 Neil Peart has been one of the world's most acclaimed drummers for over 35 years. His virtuosic work with the band Rush has inspired drummers and expanded the school of rock drumming beyond all technical limitations. 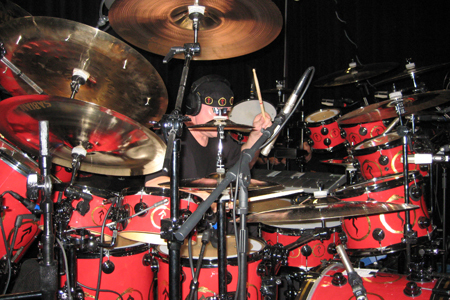 Peart is known for his intricate beats, fast hands and complex time signatures. 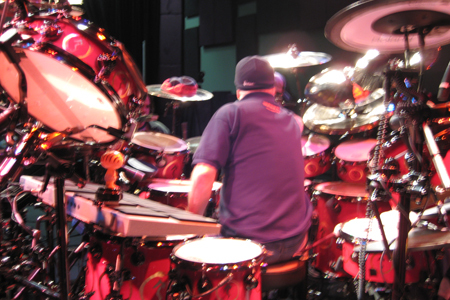 Neil Peart joined Rush in 1974, who has written and recorded rock classics such as "Tom Sawyer," "The Spirit of Radio," "Freewill," "Limelight" and "YYZ." The band continues to play around the globe to enthusiastic audiences of all generations. 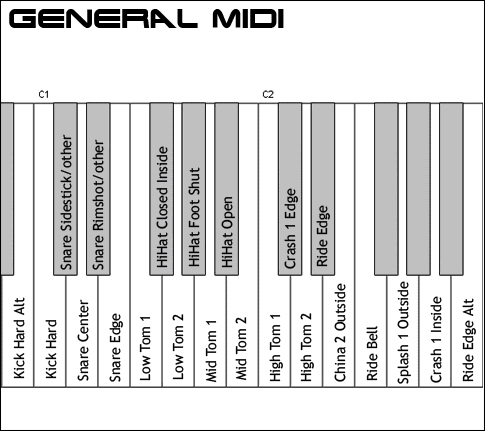 GM is the classic mapping format for standard MIDI files. Sonic Reality’s IMAP/GM remapping button works by putting selected IMAP notes remapped to GM notes instead. This offers the best of cutting edge expression without sacrificing universal compatibility with GM MIDI loops. This product requires Reason 4 or higher. All trademarks are the property of their respective owners. Any brand and model names are for reference only; no affiliation is implied. Requires Reason 4.0 or higher.